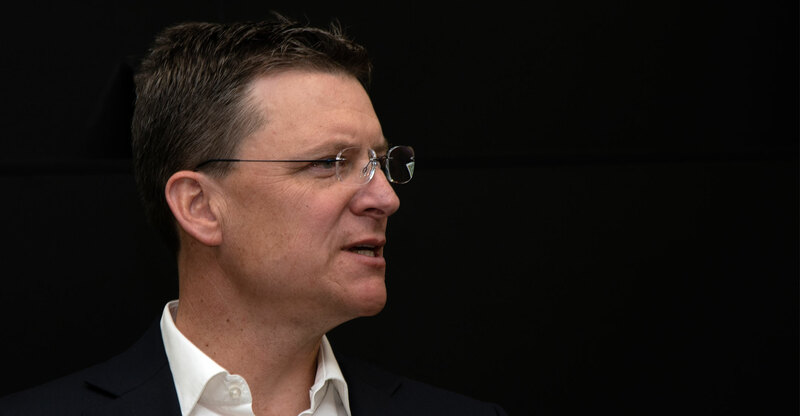 MTN Group CEO Rob Shuter said the company is committed to Nigeria even as the continent’s largest wireless carrier considers how to respond to an order to return US$8.1-billion in repatriated funds. The relationship between Johannesburg-based MTN and its biggest market is under renewed strain after last week’s bombshell demand, which has sent the share price down almost 20%. The news came just three years after Nigeria hit the operator with a $5.2-billion fine — later reduced to about $1-billion — in an entirely separate dispute over Sim-card registration. That incident also weighed heavily on the share price. “We have a proud history of being a major partner to the people of Nigeria and notwithstanding our current difficulties are firmly resolved to continue to do so,” Shuter said in an e-mailed response to questions on Monday. The CEO, a former Vodafone Group executive, was appointed partly in response to the previous Nigerian crisis, which claimed the job of his predecessor. Since taking over in March 2017, he’s started a review of the South African company’s 22 markets across Africa and the Middle East, and agreed the sale of its Cyrus unit. However, with more than a quarter of MTN’s total subscribers, Nigeria can’t be easily abandoned. The Nigerian demand threatens MTN’s plans for an initial public offering in the country and may restrict its ability to pay dividends, depending on how long the dispute drags on. The Nigerian central bank elaborated on Sunday that MTN and lenders “flagrantly violated foreign exchange” regulations in taking cash out of the country over eight years through to 2015. While four banks were fined a combined $16-million, MTN has been left with the biggest headache, even though it would receive a naira-denominated refund in exchange for returning the $8.1-billion, according to the bank’s deputy governor, Joseph Nnanna. Outstanding questions include how the company is to pay the cash and what happens if it doesn’t comply. MTN shares fell 2.5% to R86.80 by the close in Johannesburg on Monday, valuing the carrier at R164-billion rand. The crackdown on the company comes as Nigerian President Muhammadu Buhari seeks re-election for a new four-year term in a February vote. His administration has gone after companies for irregularities as well as tax defaulters, part of a wider pledge to fight corruption in Africa’s most populous nation.